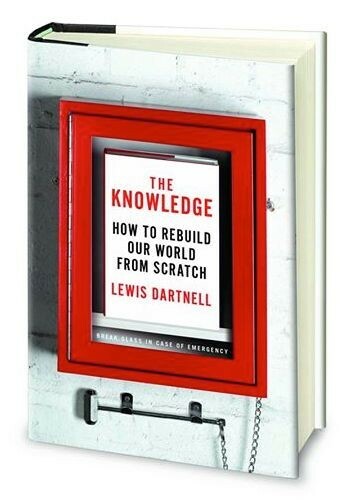 The notion of preserving human knowledge for posterity, in sum total or at least a condensed summary of the key principles, in case of a cataclysm that collapses civilisation is not a new one. As discussed more fully in the History of the Total Book blogpost, eighteenth-century encyclopaedia compilers were conscious of the fragility of past empires and made efforts to catalogue and preserve crucial information for society in the aftermath of a great catastrophe. One of the inspirations for me to begin researching and writing The Knowledge on this theme was James Lovelock’s 1998 essay on the threats to our modern civilisation and the necessity for a ‘Book for All Seasons’. And there have been a number of other, similar propositions since then. 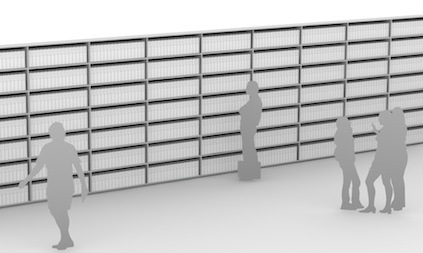 Kevin Kelly, a former editor of the Whole Earth Catalog and founder of Wired magazine, proposed the ‘Forever Book’ in 2004 and the ‘Library of Utility’ in 2011 – a remote mountain-top vault of books. 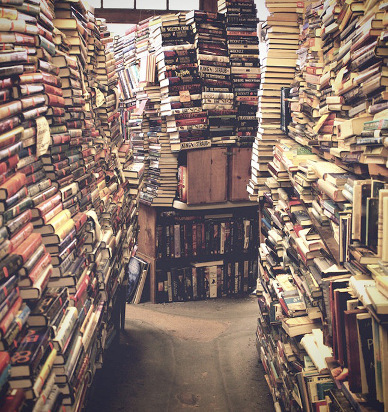 The Library of Utility would hold perhaps 10,000 books, collecting the essential knowledge required to recreate the infrastructure and technology of civilisation. This library would, he says, be in principle open to all but would probably need to be sealed for most of the year to aid preservation as the information would be printed on normal paper books. The rationale for this is that not only does ink and paper reliably store data for longer than more hi-tech media like flash memory or hard disks but you also need no advanced technology to read a book like you do a CD-ROM. The Long Now Foundation reported on a comparable notion, a ‘Manual for Civilisation’, on their own website in 2010. This organisation is known for promoting long-term thinking. In a Texan mountainside they are building a 10,000 year clock, which will tick once a year, chime in each new millennium, and indicate the year on a five-digit display – such as 02014 – for longevity. They are also compiling a Rosetta Disk, an archive of over 1,500 languages etched into a palm-sized record, each page legible only down a microscope. The Foundation discusses the value of such Doomsday Manuals for cushioning the collapse of society and aiding in the rapid rebuilding of civilisation. In a similar vein, Noah Raford outlined the concept of ‘Doomsday Chests‘ during his PhD at MIT. His plan is for the fundamentals of human knowledge to be translated into the five most widely spoken languages and laser-etched onto a set of durable stainless steel or titanium sheets; a fireproof Library of Alexandria to help avoid another Dark Ages. Raford also considers how to make the distribution and protection of the information as robust as possible. He suggests three parallel routes: aesthetically-embellished versions to reside in museums in large cities; less-ornate, utilitarian editions to be placed in more remote locations (in case, for example, major population centres are targeted in a nuclear war); and for the digital plans and content to be published on-line for anyone to download their own copy. The website Rebuilding Civilization also includes some interesting articles on various practical topics if you’re knocked back to basics, but you would of course need the foresight to print this out quickly once you realise the apocalypse is on its way. Similarly, but resolutely tongue-in-cheek, Wikipedia’s Terminal Event Management Policy decrees the rapid printing of the on-line encyclopedia to physical media in the event of a global catastrophe. However, as of March 2014 PediaPress appear to be running a serious attempt at raising enough money to actually print Wikipedia into 1,000 hardback volumes. Marcin Jakubowski is taking a slightly different tack. Rather than proposing for some inordinately extensive library of books to be assembled and protected, he is already designing and building a cleverly interlinked set of machinery. 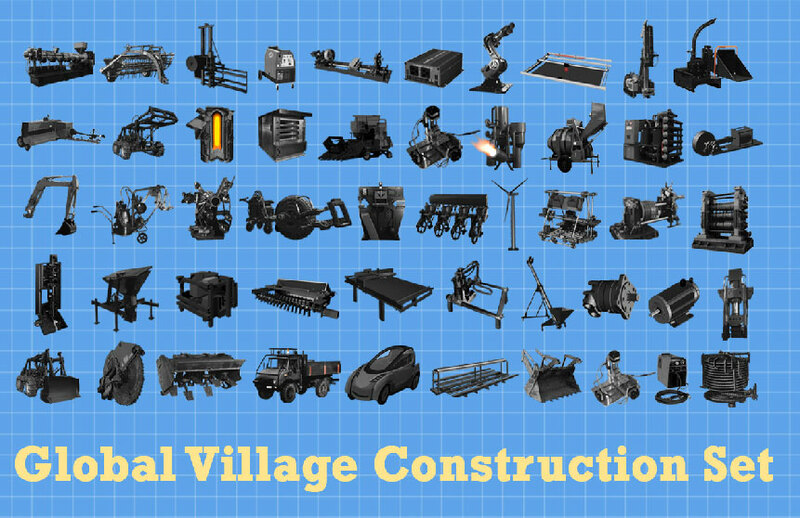 When completed, the Global Village Construction Set (GVCS) will represent open-source blueprints for a complementary assemblage of fifty machines that together can provide all the infrastructure necessary for a self-sustaining community. They will support agriculture, energy generation, transportation, and production including, crucially, the fabrication of all the machines in the set. These machines range from the simple, such as an oven, sawmill, and well-drilling rig, through a renewable energy steam engine (fired by biofuels) and wind turbine, to much more complex technologies like a device to extract aluminium metal from clay, or an induction furnace for melting steel. Most ambitiously, Jakubowski plans to also develop an industrial robot, laser cutter and computer-controlled circuit board mill, although it’s hard to see how these will be achievable with such a small industrial capability. Each of these designs is composed of modular parts that are interchangeable – the wheels of the tractor, for example, can be popped off and swapped on to the bulldozer. Jakubowski’s stated aim is focused on helping developing communities and decentralising the means for production, but clearly the design specifications for a mutually-supportive set of machinery able to provide for all the requirements of an independent society is directly relevant to attempts to recover after the apocalypse. Watch the TED talk on his aspirations for the GVCS in 2011.